When Minh Ho was born in Korea, it took a whole month before doctors began to realize that something was wrong. He appeared normal, except that his color was not right. 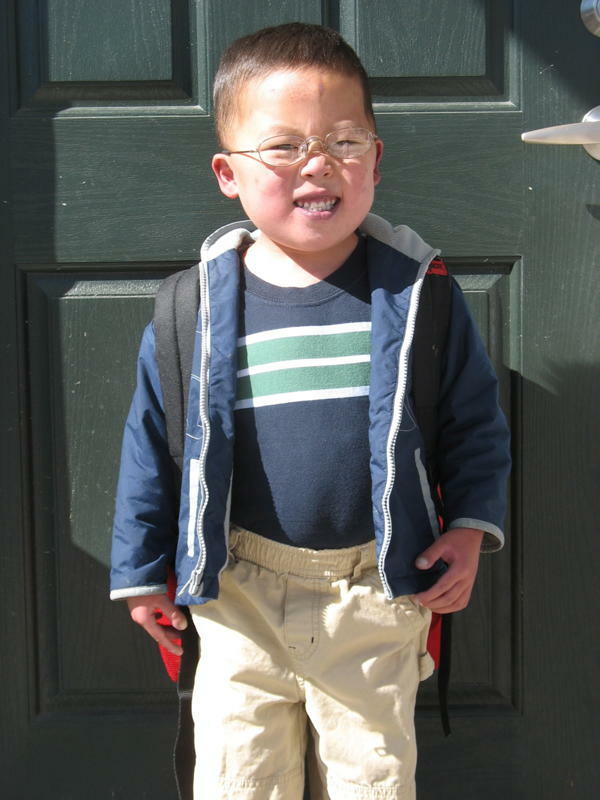 It was later learned that Minh Ho was born with a single ventricle, or basically half of a normal heart. His pulmonary valve and arteries were genetically flawed as well. His birth mom was a teenage girl who handed him over without even knowing he had a heart problem. It was his foster mother who took him to the doctor who discovered his heart defect. Minh Ho had two open-heart surgeries in Korea. The only caregivers in his life were paid; he didn’t have a family. This was a child with a very poor prognosis; in fact, he wasn’t expected to live more than a year or so. The only possibility for any sort of repair to his heart was in the United States. A young American military couple heard about Minh Ho. God led this couple to do something hard — something radical in this world’s eyes. They adopted a child who, even with intervention, would probably not live long. The enlisted man and his wife gave this child something he could not yet appreciate, not because of what he had to offer them, but because of what they could offer him…a family…a family for Minh Ho no matter what would lie ahead. When Minh Ho came to America (and Texas) to join his big new extended family, it was a day of joy and celebration. A place had already been prepared for the little boy with half of a heart and he got a new name…Benjamin. Through the years to come, Ben has endured more surgery, more needles, more medicine and some days when it was a struggle just to get enough air. But there have also been many, many good days as well. Ben has a family. He loves his family and enjoys reciting every name. He has even gotten to ride a school bus and open presents on Christmas morning and see the faces of all those he loves singing “Happy Birthday” just to him. God’s solution for orphans is a family. Grace revealed through adopting a special needs child produces blessing beyond measure for those who are called. Almost three years ago, Ben got very sick. The doctors said it was time to bring in hospice; they believed that they had done all that could be done for his heart. But thankfully, God’s plans are not our plans and after six months of hospice care and then a flu which left him in nearly a coma-like state for 10 days, Ben woke up, saying, “I want spaghetti! !” I think I will always think of Ben when I hear the word “spaghetti” and then I will be reminded how God is the One who gives life and no one else. Ben ate a huge plate of spaghetti that day. He recovered and has now been with us now for three more birthdays and Christmases. You see, Ben is Robin’s and my grandson. His mom, who risked her heart to love and graft this child into our family, is our daughter. His dad, our son-in-law, has served our country in the Army now for almost eight years. As I write this, Ben is lying in a hospital bed next to me, waiting for a CAT Scan to determine if he may have a blood clot that needs attention. We never know when he might leave us…but the Bible teaches us that the Lord has all of our days numbered and that we cannot add one. Life and family are precious every day. Ben’s mom and dad have walked in faith and given Ben something that the Lord gives to spiritual orphans and physical orphans more and more through His church…a family. Ben’s mom and dad are like so many involved in orphan ministry…ordinary people who give action to their faith by loving the least of these. This week on FamilyLife Today, Dennis and Bob will be interviewing other folks who have walked in faith…special friends whom God is also using to love orphans and those needing a family. On Thursday, September 16th and Friday, September 17th, you will not want to miss the powerful stories of how God is working in orphan ministry. You just may hear through these stories what God’s invitation is for you in ministering to fatherless children. Jesus is coming soon for all of those who are called the Children of God and joint heirs with His beloved Son. When Ben rides with Jesus in that red car one day, it will be a very painful day for his family. We will miss him more than we can imagine right now. But I know that he will be there when we get to the banquet of the Lamb and I’m sure he will be eating spaghetti with that huge smile of his.